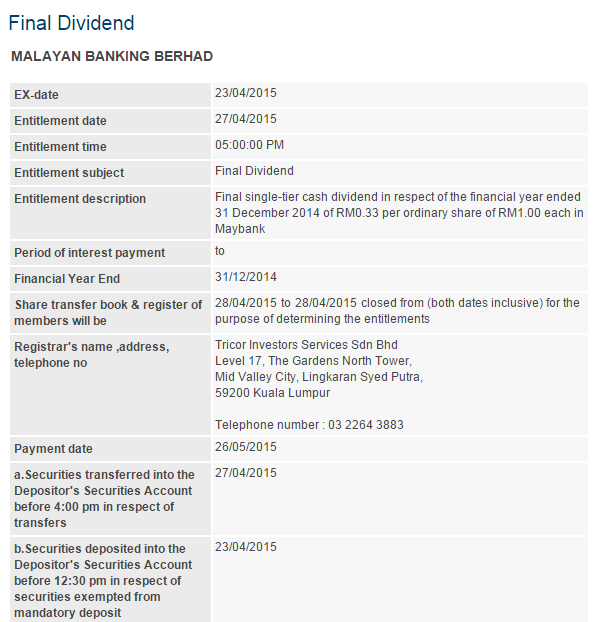 (ii) a discount of RM0.48 which is approximately 5.23% discount to the Ex-Dividend VWAMP of RM9.18. Just curious how to apply for this DRP? I think every counter also got DRP right? Thanks! No o. Only certain companies announced got DRP. So far I know is Maybank and MBSB. 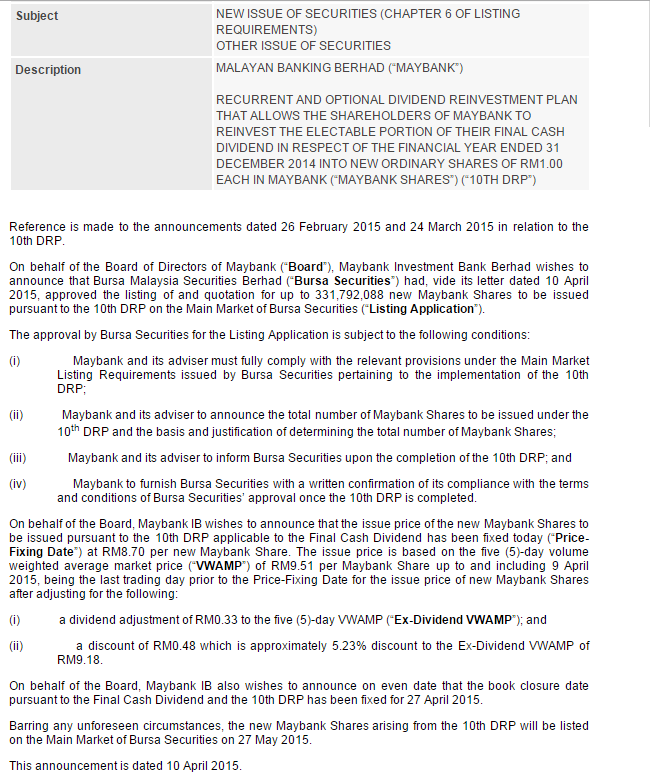 The cons for DRP is the share will be diluted somehow, coz company issue new shares to shareholder instead of dividend. For direct account need to fill up the form and send to company. Kena matikan setem hasil? At where? If I stay in Kinrara, which one is the nearest?